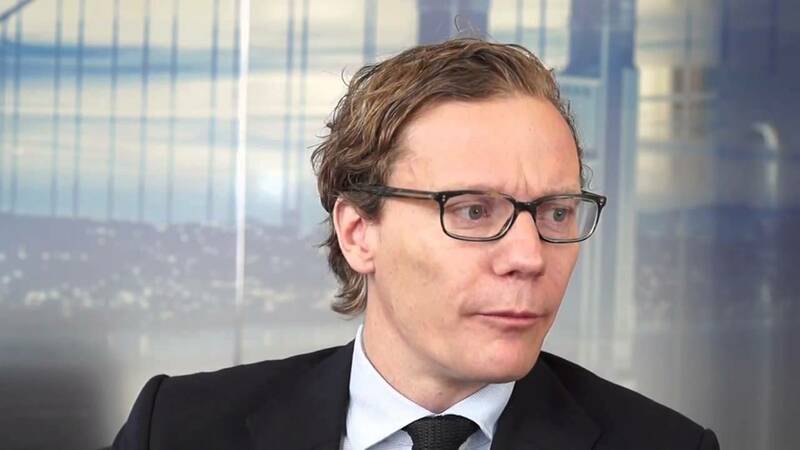 In September 2016 at the Concordia Summit, a man called Alexander Nix (above) gave a ten minute presentation called “The Power of Big Data and Psychographics”. It was essentially a demonstration of the extent to which his company Cambridge Analytica is now able to harness the power of ‘Big Data’ (the online and digital fingerprints we all leave behind) to influence global elections. The company boasts “a revolutionary approach to audience targeting, data modelling and psychographic profiling” that has made them “a leader in behavioural micro-targeting for election processes around the world”. In it, Nix explains how his company used this cutting edge combination of technology and psychological profiling to propel Republican nominee candidate Ted Cruz from total obscurity to being the main rival to Trump. At the end of the talk he reveals that, in light of Cruz pulling out, one of the two remaining contenders in the race for the Whitehouse is now using their technology. That contender, it transpires, was Donald Trump. It further transpires, according to an investigation by Das Magazine reporters Hannes Grassegger and Mikael Krogerus, that Cambridge Analytica’s services were also hired by Nigel Farage’s ‘Leave EU’ campaign. Much more on the company, the origins of the technology and details of how it was deployed during the EU referendum and US presidential election can be found here. The upshot is this: for a price – literally millions – this company can, and does, use the vast amount of online data that exists on us all, in conjunction with advanced psychological profiling methods and existing social media algorithms, to profile, target and then push the buttons of millions of people in order to get them to vote – or not vote – however their paymasters want them to. And that’s exactly what they did. This is not a conspiracy theory. There’s really no mystery to it. This is what modern ‘democracy’ has become. It appears that in both cases, Cambridge Analytica profiled and targetted people who are susceptible to propaganda and well presented political messages, then ruthlessly exploited them, resulting in a spike in engagement on polling day among their paymasters supporters and a drop off among supporters of their opponents. Many a Remain and Clinton supporter has since bemoaned the fact that they didn’t vote for the simple reason that they believed the result to be a foregone conclusion. What this means, above all else, is that neither Brexit or Trump’s victory were results of an organic movement to ‘take back control’ from the establishment as they are routinely portrayed. They were largely bought about by cynical, calculating, undemocratic mass manipulation of the general public via targetted psychological online profiling. In spite of the non-racist, honourable intentions of many of those who backed Brexit and Trump, there can be no doubt that these election results have empowered the far right, to the point of it being able to rebrand itself as ‘Alt-Right’ and swell its ranks. So, in a very real sense, this company and these campaigns (in conjunction with the programming of much of the mainstream media over many years, of course) could be said to be largely responsible for not only the results of these two crucial elections but also the rise of the so called ‘Alt-Right’ and the ‘Fake News’ / ‘Post Truth’ hysteria that has ensued since those results were announced. Without this intervention, it is entirely conceivable that the extreme fascist views of the far right would still be firmly in the fringes. Instead, they are now very much in the mainstream, barely concealed in the rhetoric of its most prominent cheerleaders. What a pity these tech geniuses never use their powers for good. Imagine if, rather than just selling themselves out to the highest bidder with no concern for morals or ethics, they were to put their efforts behind genuinely progressive, pro-democracy campaigns. Seriously though, it’s bad enough that our electoral systems are fundamentally undemocratic and ensure that only representatives of the same political class can ever get in, and that the partisan, deeply biased and hugely powerful mainstream media actively seek to control the electorate and directly influence our elections. Now, on top of all that, unless you are aware of the dangers and take steps to avoid them, the apparently free and open internet is now also fully at the mercy of powerful undemocratic forces seeking to steal our elections. Needless to say, we’re up against it. And needless to say, the need for truly democratic reform of our electoral systems and systems of government has never been greater. Legislatively, much more needs to be done, clearly, if for the right price an Orwellian communications company can be drafted in to ensure an election victory for whoever can afford them, regardless of any moral or ethical concerns. But a formal, binding None of the Above (NOTA) option on ballots remains the logical, systemic starting point for this process. Find out why here. NOTA, properly implemented, is a democratic pre-requisite, representing as it does the essential ability to be able to formally withhold consent and reject all that is on offer at an election, if deemed necessary, in a way that can affect the result if enough people do it. This mechanism, in its fully fledged form (as opposed to the token gesture, watered down versions in India and Nevada, for example), is currently absent both in the US, the UK and indeed everywhere, when it should be central to any and all systems claiming to be truly democratic. When understood this way, you cannot argue against NOTA and still be pro-democracy, meaning that all the while there is a need to present the various systems we have as paragons of democracy, even if they aren’t, NOTA is 100% achievable. Introducing a form of NOTA is already UK Green Party policy. We now need to get this essential, transformative reform seriously recognised and firmly on the table across the board. In my view, as a matter of urgency. With this in mind, I implore anyone reading this to familiarise yourself with the current state of play and recent articles on our website and start the all important conversations with your friends and families about how coming together and campaigning for NOTA presents a golden opportunity for us all to meaningfully push things forward at this surely critical time. If you live in the US, you can support and help draw attention to the need for a formal, binding NOTA option on ballot papers here. UPDATE: 14/02/17 – Cambridge Analytica’s Trump and Cruz campaigns were specifically bankrolled by billionaire Trump backer Robert Mercer. It transpires that prominent Trump advisor Steve Bannon was, until recently, also on the board of the company. It is now reportedly being lined up to handle all of the Trump administration’s digital communications, meaning it will be working closely with many departments across government. A detailed and extremely worrying analysis of what all this means for the future can be found here. UPDATE: 27/02/17 – When I originally posted and shared this blog, many people instantly dismissed it as a ‘conspiracy theory’. Understandable, perhaps, as you’d think something like this would be headline news. Well, it’s not quite there yet, but elements of the mainstream media are finally reporting it. This excellent investigative piece appeared in The Observer on 25/02/17, confirming the story and revealing even more details. UPDATE: 16/07/18 – Needless to say, this article has now been fully corroborated by the high profile media revelations of recent months. We now know that both election results were arrived at fraudulently. Yet Trump and Brexit trundle on while the fascist alt-right continues to be the primary beneficiary. It’s almost as though that was always the objective… buckle up! Trump: Don’t despair, don’t get angry – get wise and organise! An estimated 55.6% of eligible voters voted in the 2016 US election that saw Donald Trump elected as the next US president. That is an abysmal turnout, but an entirely understandable one, given the state of the candidates and the level of debate in the run up. It also transpires that Clinton, much like Gore in 2000, won the popular vote nationwide but, due to the First Past The Post (FPTP) voting system and the vagaries of the 100 year old electoral college system, lost out when it came to securing the all important 270 delegates. Naturally, there is now much belated talk, again, of electoral reform and the ‘state of democracy’ and, inevitably, the focus has fallen on efforts to introduce a more proportional voting system. This is a red herring plan, in my view, that would involve tearing up a tried and tested system that directly benefits the two main parties of power and that can always be presented by them as ‘democratic enough’, even if plenty of people disagree. But there is a much simpler, much more achievable and much more immediately transformative reform staring everybody in the face. One that actually already exists in some form in the US, setting out a clear precedent and an opportunity for expansion. Does anybody truly believe that many of those who turned out and voted for Trump or Clinton, having opted for the perceived lesser of two evils, did not do so through gritted teeth? We’ll never know how many for sure, but I’m willing to bet that a great many of them would instead have made use of a formal & binding ‘None of the Above’ (NOTA) option on the ballot paper / voting machine had one been available. It also stands to reason then, that many more of the over 100 million who didn’t vote at all would surely have considered doing so if they’d had the opportunity to formally tell all candidates and parties where to go in a way that could’ve affected the result if enough people had chosen to do so. One US state, Nevada, already has a form of NOTA, but unfortunately it is a non-binding kind of faux-NOTA that cannot in any way affect the result and is therefore of little interest to disillusioned voters, some of whom are campaigning for it to be made binding and extended across the rest of the US. This is an initiative that we must whole heartedly support. In my view, there is absolutely no rational argument for keeping a formal, binding NOTA option off the ballot paper in a world where pseudo-fascist populism and yet more neoliberal Wall Street / City of London puppetry are the only available options (if you agree, please help us to help you by signing this petition on the 38 degrees website and sharing this post). But we cannot make this argument and take it to the mainstream without serious numbers and serious support. I have, more than once, tried to impress upon various organisations such as 38 Degrees, Make Votes Matter, Unlock Democracy and the Electoral Reform Society the importance of our campaign and why NOTA should be the priority of all progressives and democratic reformists. Surely this point has now been made beyond all doubt. Donald Trump is the next US President, after all. Have another go at trying to let that sink in for a minute. NOTA, properly implemented, is a democratic pre-requisite, representing as it does the essential ability to be able to formally withhold consent and reject all that is on offer at an election, if deemed necessary, in a way that can affect the result if enough people do it. This mechanism, in its fully fledged form, is currently absent both in the US, the UK and indeed everywhere, when it should be central to any and all systems claiming to be truly democratic. When understood this way, you cannot argue against it and still be pro-democracy, meaning that all the while there is a need to present the various systems we have as paragons of democracy, NOTA is 100% achievable. A form of NOTA is already UK Green Party policy. We now need to get this essential, transformative reform seriously recognised and firmly on the table across the board. In my view, as a matter of urgency. With this in mind, I implore anyone reading this to familiarise yourself with the current state of play and recent articles on our website and start the all important conversations with your friends and families about how coming together and campaigning for NOTA presents a golden opportunity for us all to meaningfully push things forward at this critical time. The need for a formal, binding ‘None of the Above’ option (NOTA) has surely never been more apparent than when watching the farcical 2016 US election campaign. I mean, seriously. A nation of over 300 million people, and the only two in the running for the top job are Donald Trump & Hillary Clinton. A racist, misogynistic, hate preaching, billionaire demagogue versus a warmongering, morally bankrupt, fully paid up member of the Wall Street clique. That’s it. And with not a single credible alternative party or candidate in the running that won’t just split the vote and ensure victory for one of the main two. It is, quite literally, ridiculous. This lazy, binary, context free thinking is embarrassing for all concerned. But it always happens. You could put Ted Bundy and Charles Manson up against each other for the job of leading us all over the cliff and people would immediately start rationalising which one is the least worst. Only now, this time – SURELY! – the toxic, terrible problem of oligarchy masquerading as democracy is there for all to see, no? People should be on the streets DEMANDING their democratic right to formally withhold their consent and reject all that is on offer via a formal, binding NOTA option. It is absolutely essential to be able to do this in any true democracy. And all the while the oligarchy is bound to disguise itself as a true democracy, it stands to reason that the case for the democratic pre-requisite of NOTA can be made. And won. What this means, in practice, is that this is in fact faux-NOTA, a kind of informal token gesture. This of course does nothing to inspire or engage disillusioned voters and accounts for the usually fairly low take up for this form of NOTA where it exists. And yet, in 2014 it still ‘beat’ every actual candidate in Nevada, and by quite a margin. As a result, many Nevada voters now want to see NOTA expanded ‘so that if it came in first, the election would be declared invalid and a new election would be quickly called in which none of the candidates who lost to NOTA would be eligible to run again’. Choosing wisely – not just choosing between but also choosing to reject all that is on offer if necessary – is in fact the singularly most important aspect of any true democracy. Never before has the absence of this essential democratic right been more glaring than it is as millions of US citizens prepare to make what has to be the most absurd Hobson’s Choice in human history. If you can see the flaws in a broken or knowingly deceptive system, it makes literally no sense whatsoever to make use of that system as it is and expect the outcome to change. All this can ever achieve is legitimisation of that system and assurance that the inevitable outcome it produces will persist unchallenged. The only viable solution to that problem is to either replace the broken and/or deceptive system with one that actually does do what it is supposed to (or claims to) or fix whatever is preventing it from doing so. In the case of most nation state’s current electoral systems, by far the most significant and obvious flaw is that they claim to be democratic but in reality can only ever deliver oligarchy masquerading as democracy. If you doubt this, you should probably read up on the 2014 study jointly conducted by Princeton and Northwestern universities that proved beyond doubt that the United States is officially an oligarchy. Among those who acknowledge it, this problem can seem largely insurmountable. But if you approach it the right way, this is far from the case. Within faux-democratic electoral systems such as that of the US and the UK, the most glaring and most addressable problem is the total absence of a mechanism that enables voters to formally withhold consent and reject all that is on offer in a way that can actually effect the result if enough people choose to do so. It is essential to be able to do this in any true democracy because, at its core, true democracy is about people consenting to be represented in government by whoever they collectively choose to elect. But consent is only measurable if it is possible to withhold consent. The act of consenting and endorsing candidates / parties (by voting) is formal and binding, so the act of withholding consent and rejecting must be formal and binding also in order to be valid. Not voting or ballot spoiling / ‘writing in’ are meaningless, informal acts that in no way equate to this. The only way to do this properly is with a formal, binding ‘None of the Above’ (NOTA) option on ballot papers. Because it is essential to be able to do this in a democracy, all the while the game of the powerful is to present oligarchy as democracy, NOTA is an achievable reform – or rather would be, if enough people understood it and were calling for it as the democratic pre-requisite that it is. To argue against NOTA, in those circumstances, would be to argue against a central pillar of democracy itself, thus allowing the facade to crumble. Therefore, it follows that with enough pressure, NOTA could become a government concession to keep the peace and avoid all out, overt tyranny (notoriously costly, in many ways, and nigh on impossible to sustain), as opposed to voluntary, covert tyranny (the self-sustaining goal and inevitable outcome of oligarchy masquerading as democracy). Once in place, with the prospect of blanket, formal rejection hanging over every party and candidate, NOTA would have the power to trigger further organic reform of any broken and/or deceptive electoral system it has infiltrated, towards one that is truly democratic. But without this first step, nothing can ever change for the better in such systems as things stand. From a systems thinking point of view, campaigning for and securing a formal, binding NOTA option on ballot papers in the first instance is literally the most logical and viable solution to the problem at hand. It is the most accessible leverage point at which meaningful intervention can occur. (More on systems thinking and leverage points here). NOTA is not the be all and end all, but it remains the logical starting point for defeating oligarchy and kick-starting true democracy, once the true nature of that problem is fully understood. For this reason, it should be the priority of any and all progressives, reformers and true democrats at this time.